PV Solar Panels have typical voltages of 3, 6, 12, 24 Volts etc. 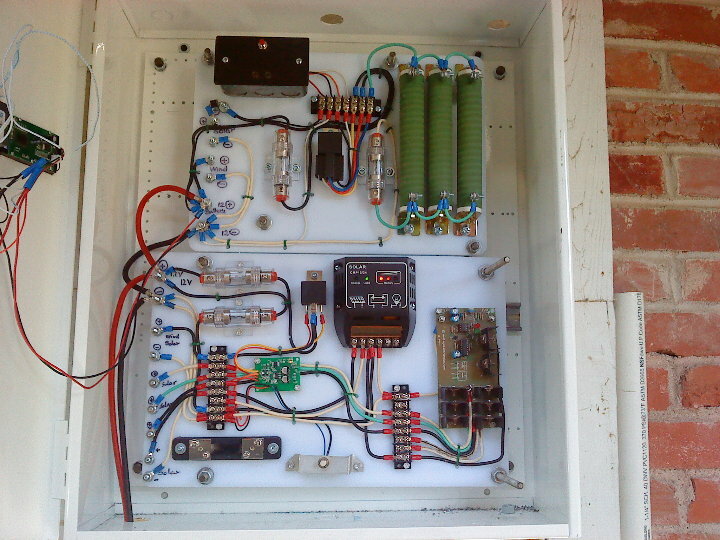 In this article we will look at how a simple electronic circuit can be built which will increase the voltage output from a solar panel so it can be used to directly power a device or to charge batteries. The maximum output current of a 555 timer is typically 200 mA and it can dissipate up to 600mW of power. Exceed these specifications and the chip may be destroyed. Also required are two 1N4002 diodes, 2 x 220uF and 1 x 470 uF electrolytic capacitors, 1 x 0.01uF (10nF) ceramic capacitor, and a 2.2k and a 15k resistor. The positive output from the solar panel is connected to the point labelled Vcc on the circuit diagram, and the negative output to the point labelled GND (ground). The positive output from the circuit is taken from Vsource, and the ground from GND – for example, if using this circuit to charge a 9 Volt battery from a 6V solar panel, the positive terminal of the battery would be connected to Vsource, and the negative terminal of the battery to GND. We have tested this exact circuit with a 6V 250mA solar panel and a 280mAh 9 Volt rechargeable battery. With a 6.25 Volt input from the solar panel, the output voltage was 9.70 Volts when just one LED (with 500 Ohm resistor) was used as a test load. The efficiency of the DC-conversion was measured at only 50% – i.e. almost half of the collected solar energy was wasted in the circuit during the conversion process as heat.